BRPH Project - Kodiak Island, Alaska. This will take place soon in a big way at the NASA Kennedy Space Center as shuttle facilities are changed for integration with systems such as the heavy-lift launcher. Areas targeted for changes include the Vehicle Assembly Building, the Orbiter Processing Facility and facilities that work on parachutes and thermal systems. The firm recently showcased its work at the National Space Symposium in Colorado Springs. "As part of one of the studies NASA is doing to repurpose and provide multi-user use of the facilities, they asked us to go out and survey potential users of those facilities and to determine what things in common they might need as NASA looks to the maintenance and operation of those facilities," says Dave Hertzler, BRPH's senior project manager. The company bills itself as an architecture, engineering design and construction services firm with specialties that include the demanding field of space architecture. At KSC alone, its past work includes the Shuttle Launch Experience simulator ride, the Visitor Complex, and preliminary design work for the defunct Constellation program, specifically examining how to change the shuttle facilities to accommodate the Ares rockets. "A lot of our business comes from repeat customers. If you don't take of them today, they won't take care of you tomorrow," says Art Waite, director of BRPH's aerospace market. The challenge at NASA these days is designing the facilities to proper specifications under tighter budgets, Mr. Waite says. For now, NASA is getting around that by doing some of the work a little more slowly. This year it anticipates doing some of the simpler projects such as isolating areas from each other. But BRPH's work extends far outside of the Space Coast. 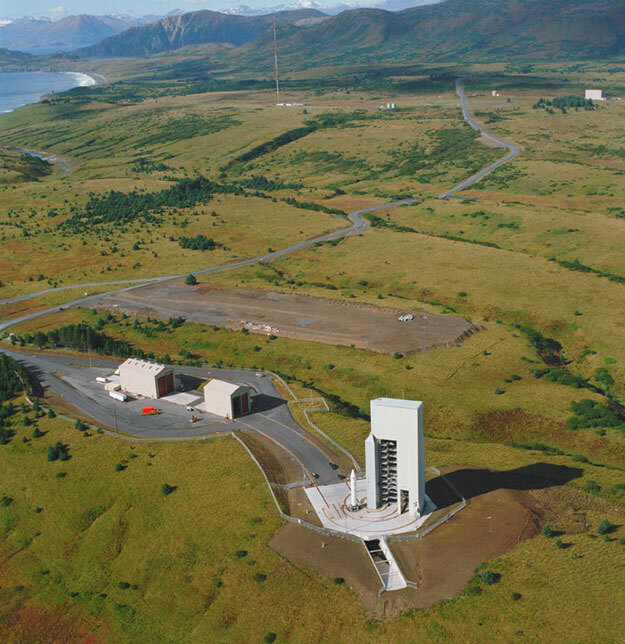 In North America, it's worked in latitudes as high as Alaska, where it designed and constructed several facilities at the Kodiak Launch Complex, including the launch pad, control center and other buildings. The site's remote location and challenging weather conditions threw in extra headaches for the crew. In Wallops, Va., it did construction management contracted by Virginia Commercial Space Flight Authority, working with Orbital Sciences Corp.
"Services included pre-construction and construction management for a new horizontal integration facility as well as a launch pad complex with fuel farm, cryogenic liquids and high pressure gasses, heavy hydraulics, and controls," BRPH states on its website. Currently, the firm is working from a request for information for proposals to bring a secondary power feed to the island, which would provide redundant power for the first time. Some of its international clients include the Japanese Space Agency (consulting) and the Indian Air Force (to do aircraft hangers for C-130J aircraft). For the most part, despite the highly specialized nature of the work, BRPH grows in business each year and consistently posts $45 million to $50 million in revenues. Last year, Mr. Waite says, they were "a bit off" due to the cancellation of Constellation and the wrap-up of 787 Dreamliner work for a major client, Boeing. But the company foresees further demand for its services in space given the changeover at KSC and the number of generation-old rocket facilities around the country that need refurbishing. Between that and working on projects such as Harris Corp.'s new $100 million engineering facility, it looks as though BRPH will have enough work to keep going for a while. It will be crucial for the firm to keep a diverse portfolio, including commercial clients, in case government demand wanes in the coming years, but officials told SpaceRef they are already working in that direction.